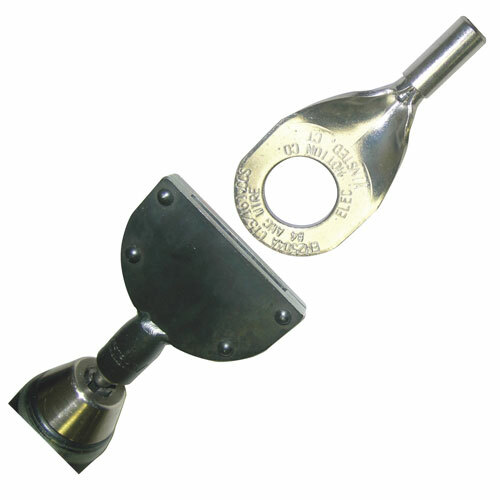 Heavy-duty self-tapping terminal for copper or copper-clad steel. 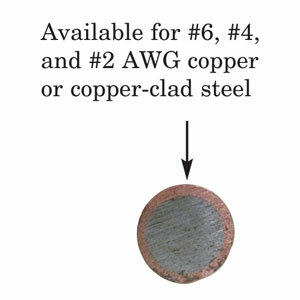 Available for #6, #4, and #2 AWG copper or copper-clad steel. 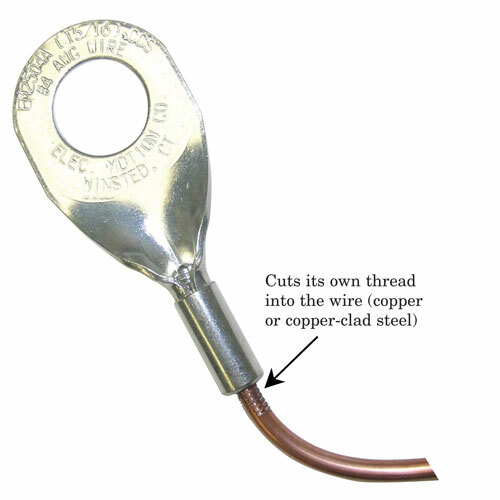 Cuts its own thread into the wire (copper or copper-clad steel). Categories: Copper Theft Deterrent Systems, Mechanical Connectors, Overhead Applications. Copper alloy for no corrosion, high conductivity. 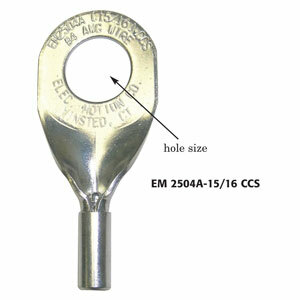 Various size mounting holes or pad sizes. 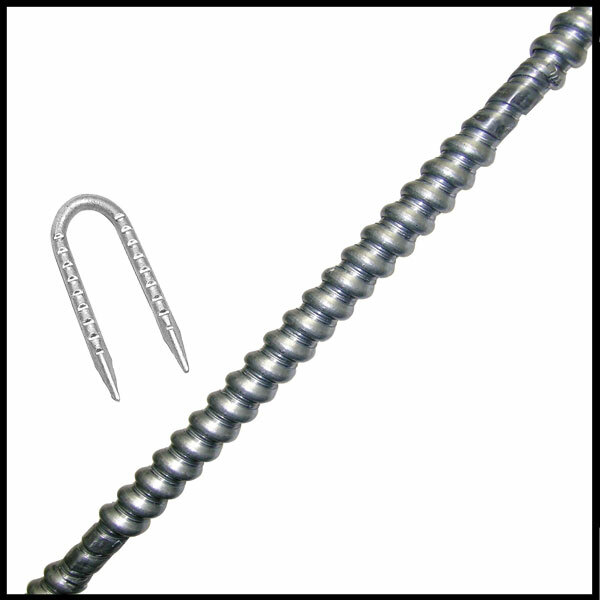 Provides unmatched pull-out strength; wire stretches before any movement in barrel. One component for traditional copper or theft-deterrent copper-clad steel. For faster installation, can use battery drill with tool. Use the drop-down menu above to choose wire gauge (#6, #4, or #2 AWG) and mounting hole size, or go to the Product Variations tab to find an already configured part number. EM2504A-11/16 CCS #4 AWG 11/16"
EM2504A-13/16 CCS #4 AWG 13/16"
EM2504A-15/16 CCS #4 AWG 15/16"